Chhattisgarh is the ninth lowest urbanized state with an urban population of 23.24. It is also the ninth lowest in terms of percentage decadal growth of urban population. Census 2011 data also shows that the percentage growth of urban male population stood at 40.09 as opposed to 30.06 for india, and for urban female population, at 43.69 against a figure of 33.73 for india. The data also shows that as against a total percentage decadal growth of 22.59 during 2001-2011 for the State as a whole,the corresponding figure for urban population in the State was significantly higher at 41.83,showing a dramatic growth in urbanization. Urban Agglomerations in Chhattisgarh with a population above 100,000 as per 2011 census are shown in the table below. In 2011, the State has 182 towns (as opposed to 97 in 2001), 168 statutory towns (as opposed to 75 in 2001), and 14 Census towns (as opposed to 22 in 2001). The State has 10 Municipal Corporations, 32 Municipal Councils, and 126 Nagar Panchayats, with a total urban population of 59,36,538 (2011 Census data). 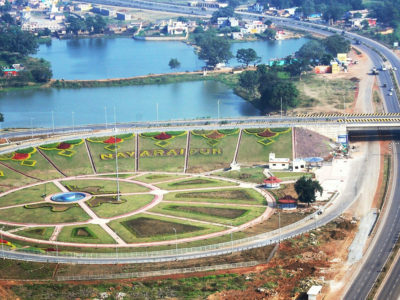 Top seven urban centres in the State are Raipur, Durg, Bhilai, Bilaspur, Korba, Rajnandgaon, and Raigarh. Provision of urban services and maintenance of public assets is mainly the responsibility of Urban Local Bodies (ULBs) consisting of Municipal Corporations, Municipalities, and Nagar Panchayats. Service level benchmarking (SLB) carried out by the Ministry of Urban Development, Government of India) data for 43 cities and towns in the State shows significant deficits in terms of service levels for water supply, sewerage, solid waste management, and storm water drainage. For example, the typical hours of water supply delivery range from 2 to 4 hours. The SLB data is indicative of the fact urban agglomerations in Chhattisgarh too face the typical problems that plague ULBs elsewhere in India as well -- inadequate operation and maintenance (O&M) budgets to run water treatment plants, lack of staff both at managerial and technical level to manage the water supply system and staff need training in modern water utility management and operational techniques. Insufficient revenue is generated from water sales to assist with O&M costs. There is a lack of water meters so it is difficult to charge commercial and high users of water, and also no incentive to stop people wasting water. High levels of non-revenue water (NRW) are also a major issue. An improvement in accounting practises in ULBs is required so that water consumers can be identified, and the introduction of billing to ensure that revenue is obtained for the water service delivered. The issues affecting sewerage are similar to those affecting water supply- but the sewerage system issues are more serious than water supply issues. The issues are lack of Town Sewerage Master Plan, inadequate water supply, lack of investment in sewerage infrastructure, inadequate capital & O&M budget for sewerage systems, lack of specially trained sewerage management and O&M staff, need for training in of sewerage utility management, inadequate revenue, lack of understanding of wastewater treatment chemistry and lack of wastewater laboratory facilities. Likewise, the typical issues affecting solid waste management are lack of solid waste master plans, no landfill site identified, lack of investment in solid waste management, inadequate capital and O&M budget for garbage disposal, garbage which is collected is disposed of indiscriminately at the side of the road or at town boundaries, the effect on the environment and public health effects of indiscriminate garbage disposal and lack of trained staff. As indicated in the subsection above, the State’s urban development sector faces a number of key challenges. With growing urban populations across all the cities and towns, the existing infrastructure and services deficit is only likely to widen further increasing the risks to these agglomerations unless urgent steps are taken. The institutions responsible for providing the civic amenities are themselves starved of resources; while reform measures are underway, the financial health of urban local bodies in the state is a cause of concern. Further, urban roads congestion and traffic management are major problems in most cities and towns. The large numbers of urban poor (as per 2007-08 poverty census, nearly 5.45 lakh below poverty line (BPL) families live in urban areas and about 2.5 lakh families live in slums), and increased the number and vulnerability of people coming to urban areas in search of employment and working in the unorganized sectors typically live in unhygienic and unsafe slums, which further aggravates their vulnerability. The biggest challenge to urban development is the acute shortage of resources and capacities. Funds available under various schemes for smaller towns and cities are meagre at Rs. 498 per capita as against Rs. 4,030 per capita available for rural areas. While Raipur and Naya Raipur get covered under the Jawaharlal Nehru National Urban Renewal Mission (JNNURM); Bilaspur, Raigarh and Kondagaon are supported through the Urban Infrastructure Development Scheme for Small and Medium Towns (UIDSSMT); and 17 towns partially supported for housing under Integrated Housing and Slum Development Programme (IHSDP), most towns and cities are largely dependent on own/State resources and grants from Finance Commission. Additional resources and technical support is required to improve the living conditions and infrastructure of these medium and small towns and ensure balanced regional development. Grants for ULBs are likely to shrink in future and resources need to be mobilized internally to develop and manage the urban infrastructure. The State will work to strengthen the capacities of ULBs in raising and managing funds. A significant portion of Central funds in the coming plan period will be linked to urban sector reforms and performance of ULBs on service-delivery, infrastructure development-maintenance, resource generation and efficiency of their expenditure, so that they gradually become self-sustained and self-reliant. As recommended by Thirteenth Finance Commission, Second Administrative Reforms Commission (ARC), and the Planning Commission Approach Paper, States need to devolve clear functions and finances to ULBs so that they can manage responsibilities under their jurisdiction. Initial support will be required by them for planning and raising resource through tolls, taxes and levies. 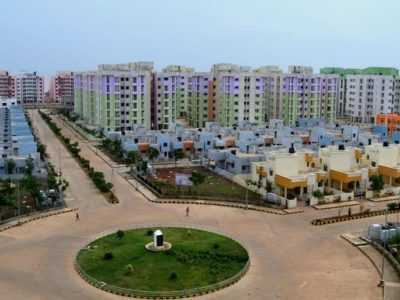 The State is developing Naya Raipur, a new greenfield city as the 4th new planned capital city in the country after Chandigarh, Gandhinagar and Bhubaneswar, with a total area of 8000 ha. The city is being constructed in three phases, and is planned over 21 sectors, with planned density of 250 person/hectare and anticipated average population of16,000 per sector. The city is expected to have total planned water supply, sewer network, planned road networks, telecom infrastructure including a fibre optic network, excellent power supply, as well as strong social infrastructure including designated areas for hospitals, educational institutes, and recreation. The city will also have large city parks, water bodies, jungle safari, and botanical garden. A Bus Rapid Transit System (BRTS) is under implementation under World Bank Support as a demonstration city for World Bank’s Sustainable Urban Transport Project. A Light Rail Transit System (LRTS) also proposed. 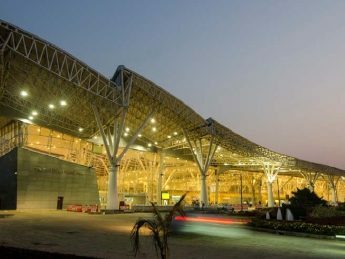 Other plans for Naya Raipur include a pedestrian corridor, golf course, luxury hotels and convention centres, shopping malls and multiplexes, a cricket stadium, and demarcated areas for Special Economic Zones (SEZs), townships, and etc. A Pilot project for integrated municipal solid waste management is close to being implemented in Raipur. The project involves door-to-door collection of garbage, covered transportation and re-segregation and disposal after due treatment; minimum 80 percent recycling of the collection and use for engineered land fill not more than 20 percent. The project will become operational in Raipur from January 2013-14. Greater Raipur (Raipur, Naya Raipur, Durg and Bhilai) is fast emerging as a metropolitan city. This gives urgency to appropriate mass rapid transport solutions. Metro Rail is one option that is being explored. The track length between Rajnandgaon and Raipur is estimated at around 93 Kms. The State has engaged Delhi Metro Rail Corporation (DMRC) to conduct a pre-feasibility study of the Metro Rail project in the State. The State is forming an Urban Metropolitan Transport Authority (UMTA) to facilitate and support efforts to realize mass rapid transport solutions for Greater Raipur. Water supply is on the special focus list of four municipal services in the State. The ideal is to migrate to 24 x 7 water supply in the right measure (135 lpd per capita) and right quality. A pilot on EPC mode is poised for launch in outer Raipur under the Water Augmentation Scheme. The supply volume is 150 mld. Drainage/Sewerage is on the special focus list of four municipal services in the State. The State has drafted Waste Water Recycling and Re-use Rules. An underground sewerage scheme (UGS) pilot project is under implementation in Bilaspur under UIDSSMT scheme of Government of India. The estimated investment is 280 Cr. The project involves EPC for developing infrastructure facilities for collection of sewerage from sources and draining them to a trunk underground sewerage system to be duly treated and effluent disposed off after treatment. Recycling of re-usable water back to the city has been put in the scope of the Bilaspur Municipal Corporation. The Sarovar Dharohar Yojana programme has been introduced for renovation, revitalization, deepening, and beautificationof pond sand water bodies located in urban areas with a view of environmental improvement. In the fiscal year 2011-12 the task on 50 ponds has been undertaken. Renovation of schools in urban areas of the state and the construction of additional rooms is done through the Gyanansthli Yojana programme.Of the total sanctioned for 986 school buildings, the construction of 846 school buildings was completed. Unmukt Khel Maidan Yojna -- the programme for the protection of existing playgrounds and creation of new ones is also being undertaken. The total approval so far is for 164 projects; 112 projects have already been completed. A range of programmes such as the Mukhyamantri Swavalambhan Yojana, Mahila Samriddhi Bazar Yojana, etc. are being implemented to alleviate urban poverty and provide employment. The Transport Nagar Yojana formulated to simplify and streamline the transport system in the state has been started in eight urban bodies. Two projects have been completed and work is in progress in the rest. The Bhagirathi Nal- Jal Yojna, a new programme to provide improved water supply service levels through piped water to nearly 2.5 lakh poor families live in slums situated in various urban centres free of cost has been started. These are only examples of a range of other such initiatives being undertaken in the State. The State recognises that long-term strategy and City Development Plans (CDPs) need to be developed for its urban agglomerates in terms of connectivity, urban infrastructure (water, housing, sewerage and street lighting), transportation, and other amenities (health and education). An Urban Development Strategy and Response Plan with a 20-30 year horizon will therefore be prepared taking account of the probable scale and character of future urban growth. Priority will be to work closely with ULBs to create basic infrastructure -housing, water, transportation, and sanitation in all urban locations in the 12th Plan. Since local bodies may neither have the capacities nor resources to do these alone, PPP-based models for public transportation, waste disposal and infrastructure development will be explored for large and medium towns. ULBs have a huge mandate to fulfil, but are constrained by the capacities of their elected representatives and functionaries. For the municipalities and municipal corporations this mandate translates into a massive and long-drawn exercise for better planning, training, introducing new technologies, business processes, and extensive handholding. Some of this work has been initiated in Eleventh Plan period and will be rolled out in all municipal bodies in the next plan period. State will support their capacity development for pro-poor, accountable, transparent, and efficient urban governance. For Nagar Panchayats, which have seen the sharpest increase in numbers, it will mean improving capacities for planning, resource mobilization and enhancing their knowledge about schemes for urban/peri-urban areas. Apart from Swarna Jayanti Shahri Rozgar Yojana (SJSRY) under which 18,000 beneficiaries have been trained on skills and nearly 1000 linked to banks for credit, the State has also launched its own schemes for urban self-employment and skill-development of youth and women and this will be scaled-up in the 12th Plan. Integrated slum development will be undertaken for the urban poor by pooling state resources with the Rajiv Awas Yojana for developing low cost housing on existing slums and provisioning them with clean drinking water, sanitation and other basic civic amenities. For inclusive growth, the State also will assure access to the basic entitlements for vulnerable populations living in urban areas. 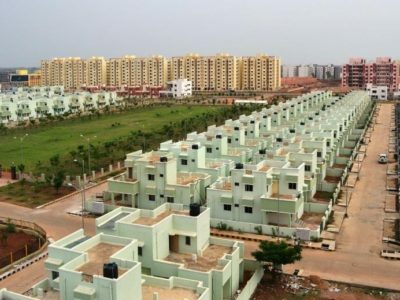 The Rajiv Awas Yojana has also been taken up as a major initiative, and is due for launch in four towns – Raipur, Bilaspur, Bhilai, and Korba in the first phase. No in-depth climate related vulnerability and risk analyses currently exist for the State. However, it is known from available evidence from across the world that climate change causes vulnerability of human settlements, which is related to extreme weather events, and such gradual changes in the climate exceed the adaptive capacity of human systems. Climate change adds to the existing stress on the sustainability of human settlements and society. Non-climate sources of change like rapid urbanisation are often the main source of stress. The concentration of urban population in a few large cities has led to tremendous pressure on civic infrastructure systems like water supply, sewerage and drainage, solid waste management, parks and open spaces, transport, etc. It has also led to deterioration in the quality of city environment. In several cities, the problems of traffic congestion, pollution, poverty, slums, crime and social unrest are assuming alarming proportions. Climate change is likely to exacerbate the existing stresses that these settlements already face. It may also impact measures that are being undertaken for sustainable development of these areas. Human settlements are accustomed to variability in environmental conditions and are resilient to normal variations. Vulnerabilities arise out of experiences that are beyond the normal experience and due to limited adaptive capacity. Climate change is likely to affect infrastructure related to water, sanitation, energy, transportation, health-care, fire services, and other forms of emergency measures. Climate change could affect water supply systems in any number of ways. It can affect the water demand for drinking and cooling systems. Where climate change leads to failure of small local water sources such as wells, it could lead to greater demand for regional water supplies. Changes in precipitation patterns could lead to reduction in water availability and fall in water tables. A change in water availability and supply also affects sewered sanitation and drainage systems. When water supplies reduce, sewerage systems also become vulnerable. Further, sewage treatment plants are vulnerable to floods, as these are often located near rivers or water bodies. Storm water drainage systems could become frequently overloaded and cause flooding if heavy storms become more frequent due to climate change. The impact of inadequate drainage systems in cities like Mumbai is already being felt leading to flooding and huge economic losses. More frequent floods could also present a significant threat if these lead to contamination of floodwaters with faecal material. Climate change may impact upon transport and other infrastructure due to extreme local climatic experiences, leading to significant economic losses. The urban-heat island effects could get exacerbated due to increase in baseline temperatures, affecting climatic comfort of the urban populations and may consequently lead to additional costs in climate control. The vulnerability of human populations varies with economic, social, and institutional conditions. The poor and the marginalized have little capacity to adapt to changes in climate by adopting such mechanisms as air-conditioning or heating. The traditional coping mechanisms of these vulnerable communities may be over stretched due to additional stresses related to climate change. Climate change threatens the homes, livelihoods, and health of the urban poor. When disasters strike, their homes may be damaged or destroyed and they may be unable to travel to work causing them to lose money for food and other basic needs. Poor people often live in informal settlements on land, which is susceptible to climate change – flood plains, lowlands, or unstable hillsides. Drains and culverts are frequently blocked with rubbish. Slum dwellers often lack secure tenure, proper shelter, water, sanitation, electricity and other services. Most have no insurance. Climate change may add to their problems. Necessary steps towards collating available data/information of impacts of climate change on cities, their systems, infrastructure, and people. Necessary efforts would be undertaken towards governance mechanisms, institutional decision-making, and convergence, a Climate Cell will be formed within the Department, which will also notify climate resilience focal points in all ULBs. The Department will develop and deploy a range of awareness and capacity building programmes for municipal officials for promoting appropriate measures towards climate resilience in their respective ULBs. Towards building adaptive resilience and contribute to reduction in green house gas emissions, in addition to strengthening urban infrastructure systems. The concept of ‘Green Buildings’ will be promoted in both the public and private sectors to save energy, water, and reduce/recycle waste, Instructions will be given to the ULBs to enforce water and energy savings in housing sector. Rain water harvesting’ will be promoted especially in housing sector. It is also proposed to end the regime of common drains for sewer and storm water by building dedicated storm water drains. Greening the towns plans will be developed and implemented for increasing the available green cover in the cities and towns in the State. Provision of rainwater harvesting tanks in all ULB buildings and new constructions in municipal limits will be taken up. Cleaning/conservation/beautification of water bodies’ situated within the ULB limits. Under JNNURM sub mission namely Basic Services for the Urban Poor and Rajiv Awas Yojana Programme; climate resilient housing models would be advocated for and adopted. 9. Hoarding policy (including energy efficient installations, operation and maintenance of street lights) Partnerships for green transportation.